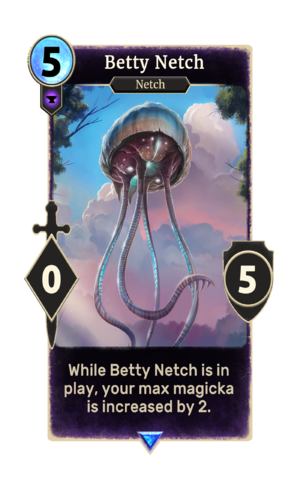 While Betty Netch is in play, your max magicka is increased by 2. Betty Netch is a rare Endurance creature card. It is part of the Houses of Morrowind expansion.